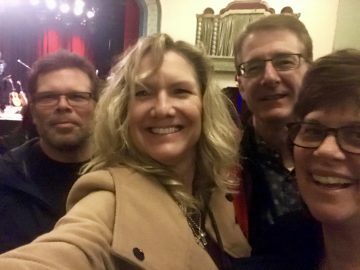 Tonight my husband and I attended the Over The Rhine concert at the Aladdin Theater with our friends from church. 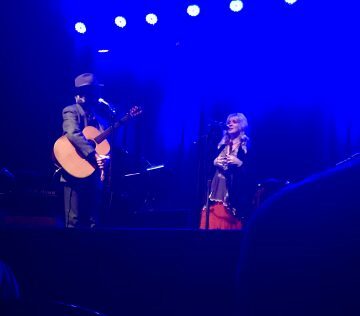 Over the Rhine is a husband-wife folk music duo that has released dozens of albums since forming as a band almost 30 years ago. Their story-telling music is filled with songs of heartache, doubt, love, death, hope, and God. We discussed kids and life and church and friends later in the car ride, when my How I Mom series briefly came up. “What are you going to write about today?” our friend Dirk asked me. Dirk then answered my question: “Write about keeping your marriage up.” He added how it helps the kids. Great point. Getting along with your significant can be one key to fostering a peaceful atmosphere in our homes. 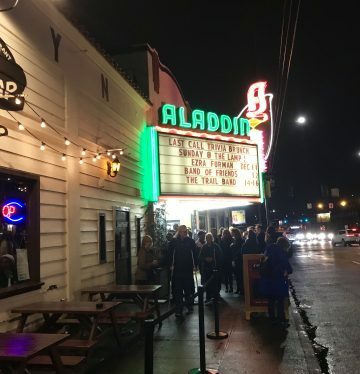 My brother and his wife attend concerts together often; their shared love for independent music groups gets them out to venues throughout Portland and beyond. And, my friends Jenni and Kristi are both really good about carving out individual time with their husbands. It’s a good thing for kids to see their parents nurture their relationship, the one that was there pre-kids. It’s also good for kids to see that their parents have interests beyond the four corners of their w4 . Nourish the side of you that was there before kids. Nourish those friendships, go to concerts, play that instrument, run that marathon, go see a movie, do that adventure. And, include your kids in some of it, show them, talk to them about what you enjoy and introduce them to it at some point. But if they do not continue to want to go with you, still go. I’ve completed eight marathons in the past 15 years and I’ve always had my husband bring the kids to see me finish, and a couple of years they have run a bit of the last section with me. Kids need to see that their parents have a life. That’s hard for me to write since my kids are my world, which was the theme of another post in this How I Mom series. I am so blessed with my five children and growing family, and yet it is okay, yeah even good, for me to acknowledge that we do things separately from my kids. It is harder for me than my husband for sure, but I have a lot of mom friends who are good about this reminder. What’s always interesting for me is that our kids like it when my husband and I do things separately from them. They like the quiet and the ability to do what they want. And, it makes my kids rely on one another more. Like tonight, my twin sons who are in college picked up their younger brother to help him with his ski team preparation activities. I love that. We parents get a night out and our kids stay connected and close. It’s a win win.